In August 2010, Bowdu was diagnosed with low thyroid levels (and so we talk a lot about canine hypothyroidism). 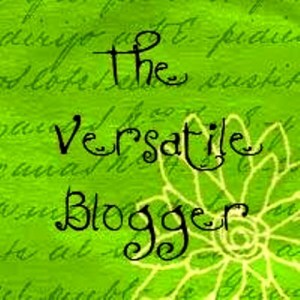 This blog came into existence partly in my efforts to chronicle his health issues. My 6yo Shiba has been treated for epilepsy for 2 yrs. She has had significant weight gain and has also had diagnosis of hay fever. Her foster Mom contacted me yesterday after 5 yrs to inquire how she was. When I told her all of this she directed me to Dr Dodds. I took her to the vet today and also spoke to Dr Dodds briefly. How did you diagnose Bowdu? Her paws look like Shika’s in the fall. Any advise is GREATLY appreciated. They are both gorgeous! I found the entries re Bowdu. So I’m assuming the test from Dr Dodds was worth it?? I’ll have to get to the vet tomorrow to see if I can get the sample to send I’d hate to make Shika go through another blood draw. Thanks for your comment. So glad you found us. I’ve put up our detailed experiences in the hopes that it may benefit others, and that others might share their experiences, too. I do think the help from Dr. Dodds and Hemopet is worth it, mainly if your vet is willing to work with her organization. If your Shiba is diagnosed as hypothyroid, I don’t think she can prescribe the required medication without having physically seen your dog; your vet needs to do that for you. Her organization just does the lab work, and faxes copies to both your vet and you. She’s also very responsive to e-mail, and I think that can be a great assistance. Finally, I think her organization is trying to collect breed-specific information about endocrine and blood health, and she said she doesn’t have very many Shibas in the database, so any additional information would be great. Regarding diagnosis — I believe the current standard is to do *at least* a T4, free T4 by equilibrium dialysis, and Total T4. The Free T4 is the most important one, and most veterinary labs are NOT equipped to do that in house, which is why blood samples need to be sent to Antech, Idexx, Michigan State University, or Hemopet. A vet should not be able to make a diagnosis just based on a physical examination or an in-house lab test of just a T4 reading, so make sure you discuss things thoroughly with your vet before proceeding. Blood draws are very stressful for Bowdu too, so I wish you the best of luck there. That’s interesting that you note your Shiba has been treated for epilepsy. Another *couple* of Shibas I’ve encountered on the Shiba Inu Forum (which is another good resource if you’d like to chat with others — look for the link on the left-hand side) were first diagnosed as being hypothyroid, and just recently started having seizures. 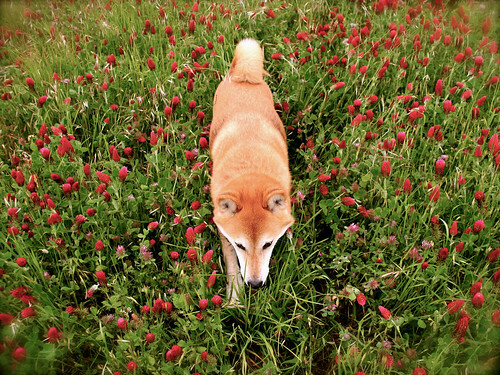 If you join the forum, I’m sure that other Shiba owner would love to talk to you! First, thanks for stopping by my blog earlier. It’s always great to find other folks crazy enough to live with Basenjis. I have always liked Shibas, too. To me, they look a little like Basenjis with heavy winter coats, and from what I’ve read, they have similar personalities — rather un-domesticated. Basenjis seem to tend toward hypothyroidism, too. Both of my older males were on meds for it (of course, they were also full brothers). Diagnosed after they started losing all their hair.